It is possible to stretch your testicles comfortably and the Randy Leather Ball Weight Stretcher allows you to get that well hung look easily. 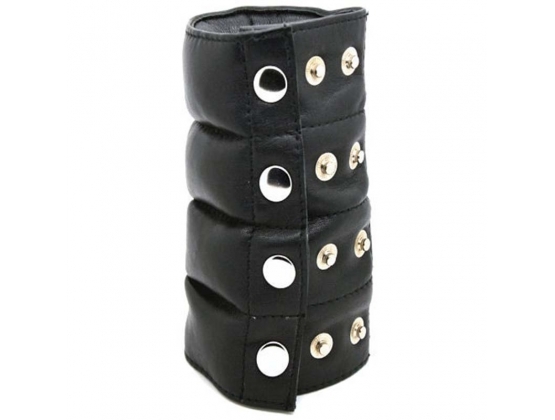 When you want to stretch your testicles in comform get hold of Randy Leather Ball Stretcher weights available in different weights up to 660grams. This starter level is only 160 grams of BBs packed into soft cmfortable leather that will not irritate you. The stretcher has snap locks that allow circumferences of 40mm, 45mm and 50mm to be achieved.